Banksy telling it as it is. 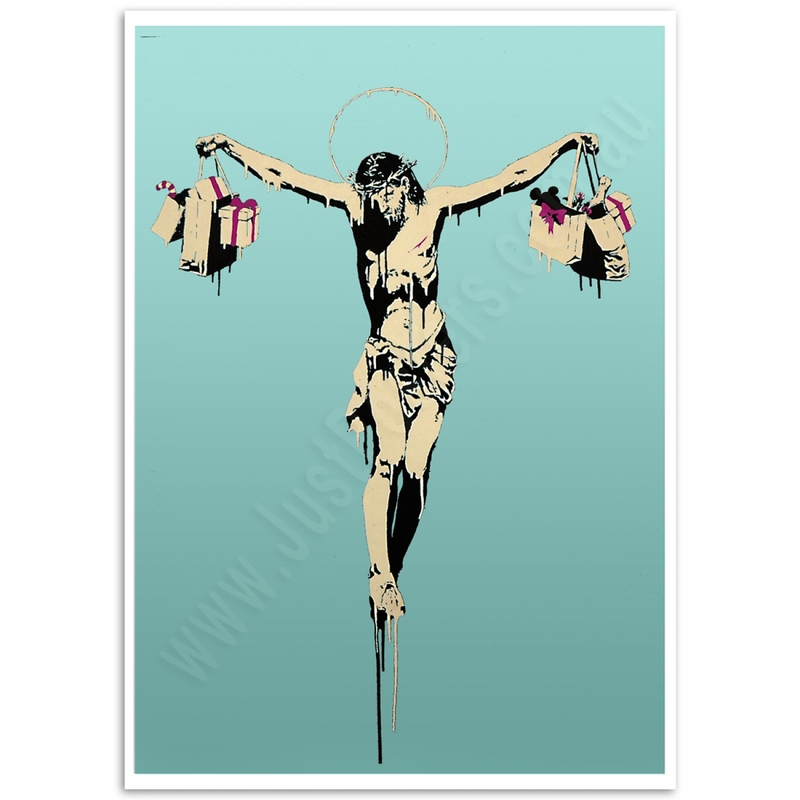 Christ crucified and holding three shopping bags in each hand. Jesus baring gifts, Mickey Mouse doll, Cane Candy and champagne. 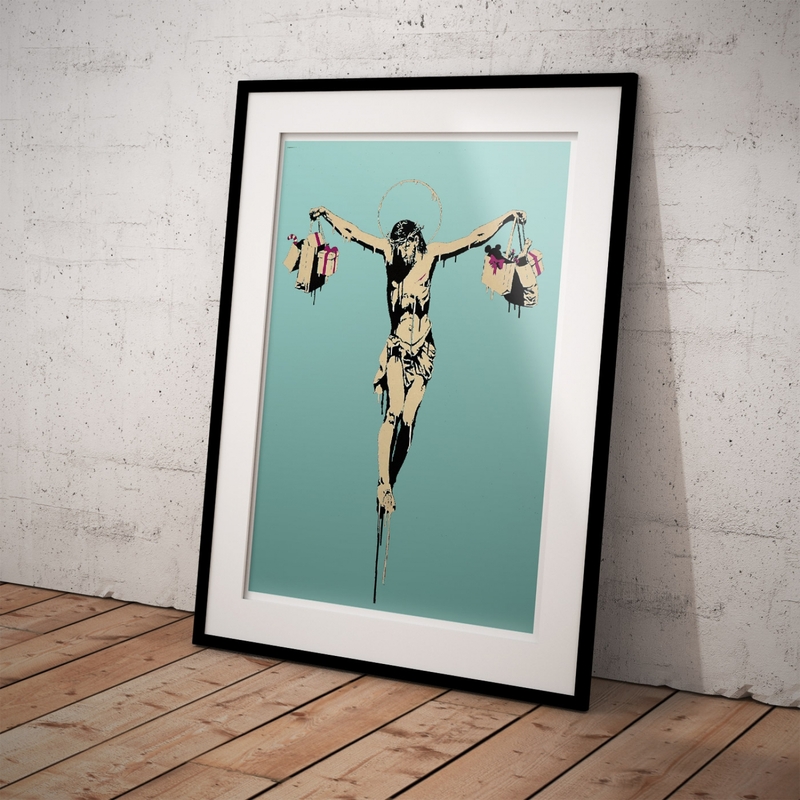 Banksy is an England-based graffiti artist, political activist and film director of unverified identity. 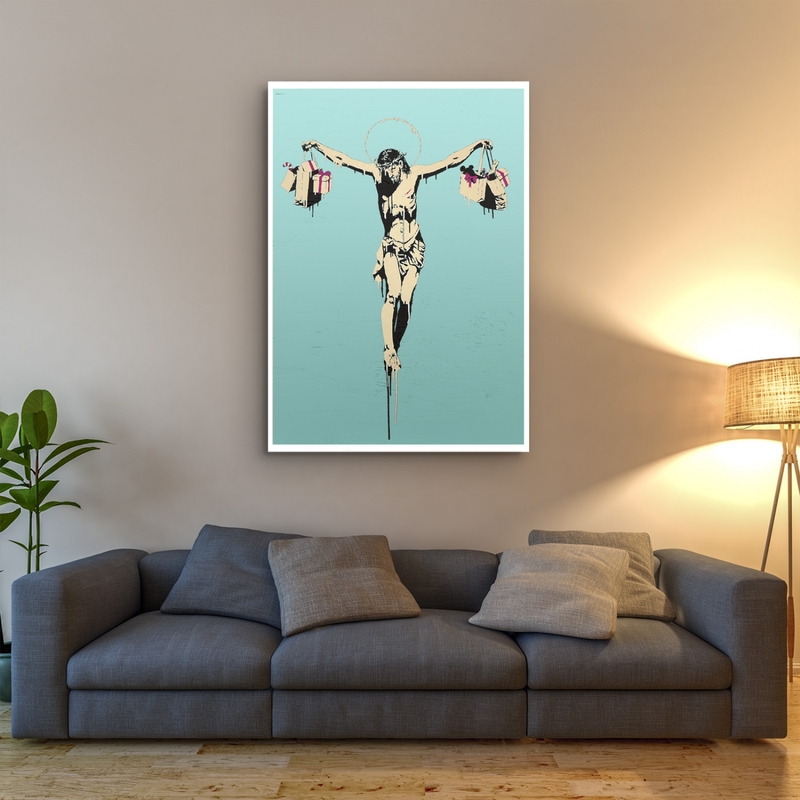 His satirical street art and subversive epigrams combine dark humour with graffiti executed in a distinctive stencilling technique. 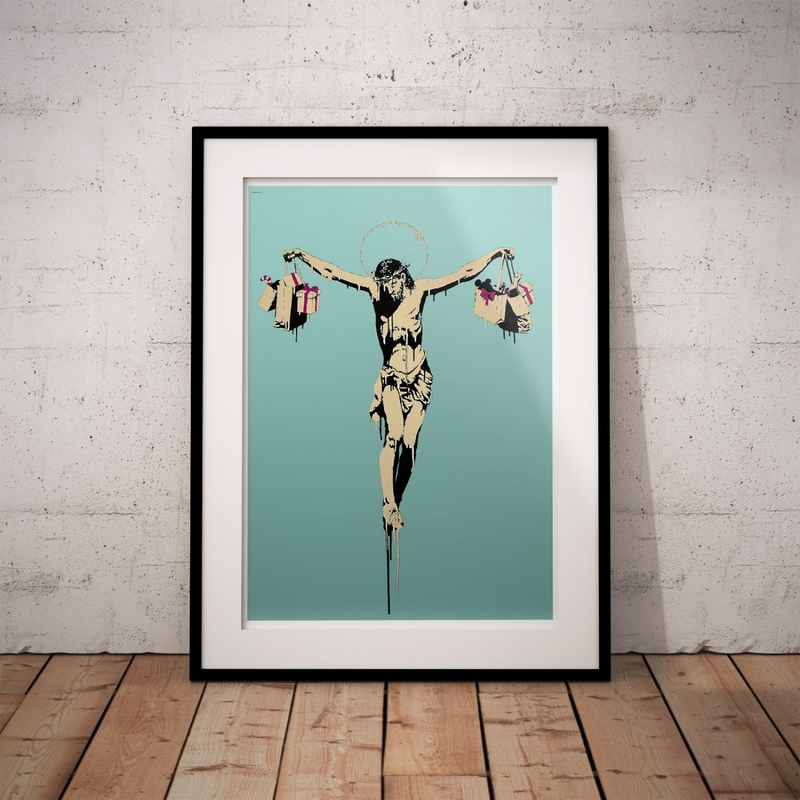 The "Banksy, Consumer Jesus Shopping" Poster was created from an original photograph. 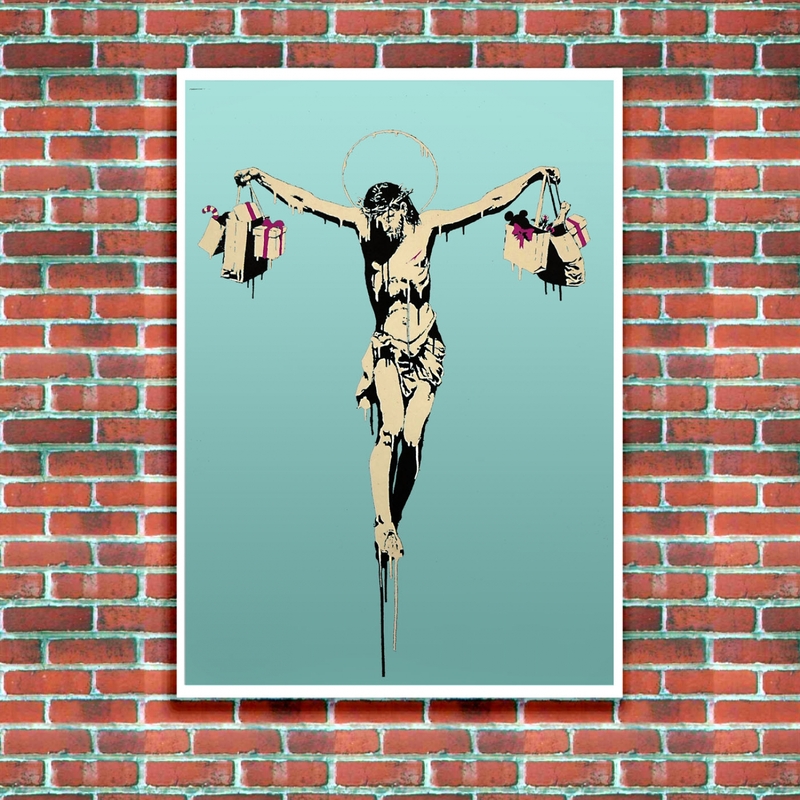 Consumer Jesus - Street Art Poster The global spread of Consumerism, a reoccurring Banksy theme. C..
Dorothy Police Search - Street Art Poster Dorothy Police Search, a powerful message by Banksy. Anot..